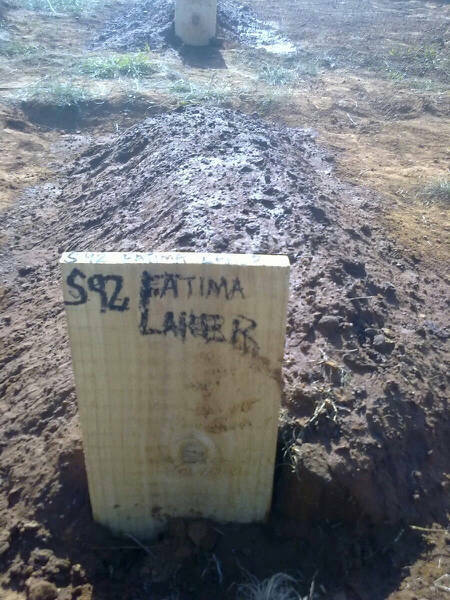 She was the wife to Ebrahim Laher (who passed away 27 November 2007 – 11 Dhul Qadah 1428), she is survived by her brother Saleh (Boundary Silk), Sister Hawa – Sons Mohammed Hanif, hafiz Ismail, Shabier Ahmed and Moulana Abdul Aziz and Daughters Hawa Bibi, Hajira and Aziza and their many children including two aalima grandaughters both also named Fatima and many other relatives. We also humbly request Allah SWT to accept our prayers for forgiveness for whatever transgressions that the deceased may have committed during their life. 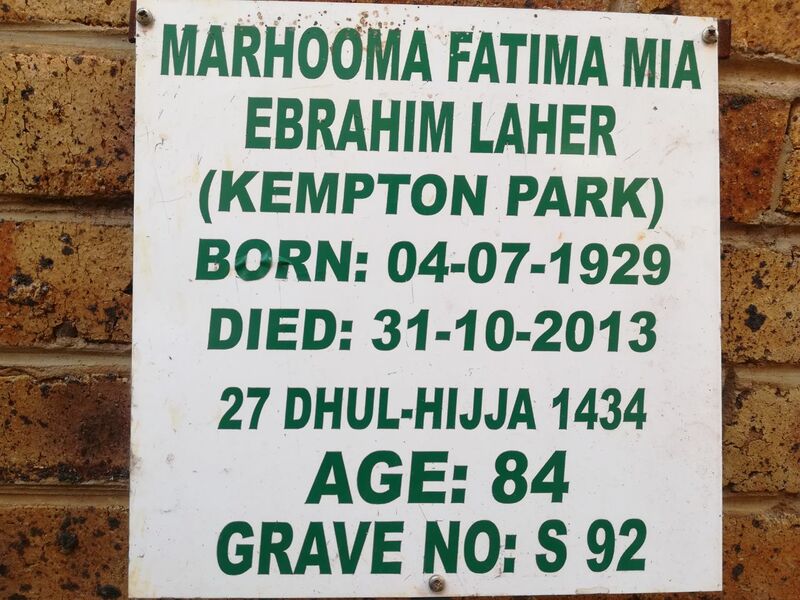 Previous S Shahjehan Ibrahim, mother of S Ambreen Ibrahim.